"All Chartworks Art Images are available Framed in De-nailed, Planed and Stained Dock Wood Poured in High Gloss Crystal Clear Epoxy Resin. 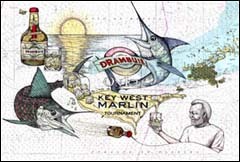 Chartworks Art commissions have become cherished prizes in a number of regional and international high stakes fishing tournaments. 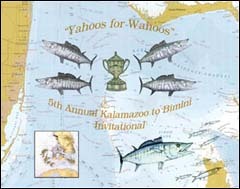 To commission tournament-specific trophies, simply determine the Fish and Chart(s) to be rendered. Or you can order giclees from my existing portfolio for use as prizes. ALL CHARTWORKS ART IMAGES ARE NOW AVAILBLE FRAMED IN RUSTIC DOCKWOOD, POURED IN CRYSTAL CLEAR EPOXY RESIN IN A VARIETY OF SIZES. CONTACT US FOR MORE DETAILS.